The Pearl Jam is a South Platte favorite invented by Bob Dye over ten years ago. It consistently fools selective, hard-fished tailwater trout across the west. Much of this patterns success stems from the peacock glass bead and thin light-colored profile. The Pearl Jam is an excellent attractor in a tandem nymphing rig. We often trail Black Beauties and Top Secret Midges off this pattern during the height of a midge emergence. 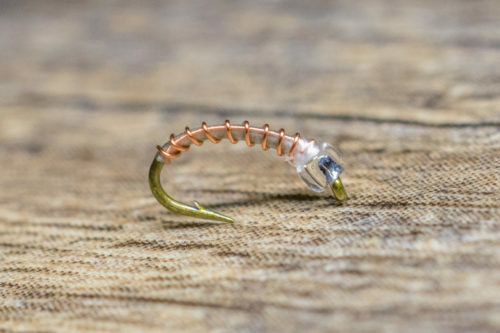 We typically fish a Pearl Jam as an attractor in a two-fly nymphing setup. 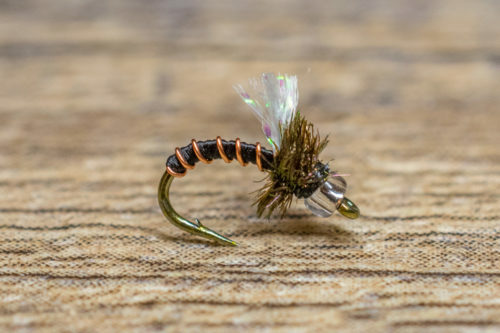 We recommend dropping a mayfly emerger below it to imitate the two most important food groups found in tailwater fisheries: midges and mayflies. 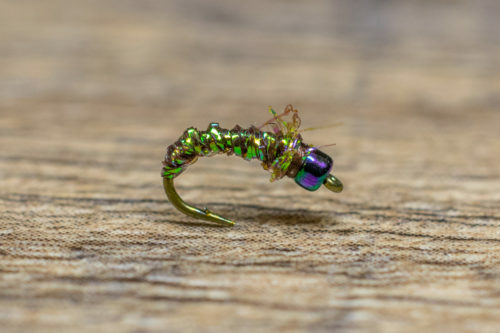 If trout are keying on midges, trail another midge pattern, preferably a midge pupa. 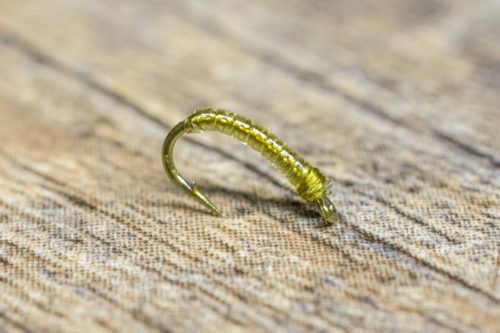 Some of our favorite droppers include Black Beauties, Manhattan Midges, Top Secret Midges, or a smaller mayfly nymph pattern.